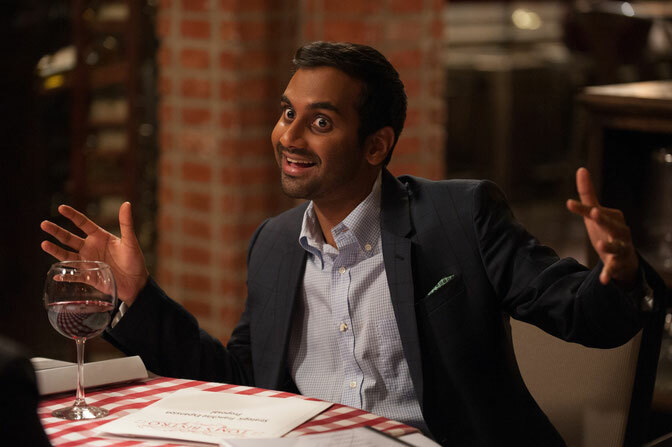 I’ve watched Master of None all the way thru four times and some episodes more than that. I teared up at episode two “Parents” thinking of my own immigrant parents, and I realized I was old when I had no idea about texting and dating in episode three “Hot Ticket”. But my favorite episode by far is episode four – Indians on TV– for reasons that should be fairly self-explanatory. During the episode Dev (Aziz Ansari, @azizansari) is educating his friend Ravi (Ravi Patel, @showmetheravi) on the brown face that occurred by Fisher Stevens in Short Circuit 2. Ravi gets an SOS text from his (male) friend Anush (Gerrard Lobo, @GerrardALobo) stating “I think this Mumbi Muscle is making me lactate”. In the moment this line is hysterical. But in reality it is no laughing matter. Men can lactate. And when they do it is called galactorrhea - the production of breast milk in someone not breastfeeding. Males do have breast tissue but this tissue is not usually stimulated to produce milk. Milk production is regulated by a hormone called prolactin. Prolactin is produced by the pituitary gland and there are low levels in both women and men on a regular basis (baseline levels are lower in men than in women). In women prolactin increases during pregnancy and breastfeeding and stimulates milk production. Prolactin can increase in men and women in a variety of conditions including pituitary tumors, certain medications and herbs, and extremes in physiologic stress. Pituitary tumors called prolactinomas are the most common cause of galactorrhea. After Dev and Ravi get Anush over the anguish of his lactation they have to break the news of the brown face in Short Circuit 2 and a panicked Anush asks “Is Mindy Kaling real?” Yes, she is Anush. Yes, she is.